A load like this could also be carried by using the box in a bakfiets-style bike. A trailer could be used, but it seems like overkill for a large dish of pasta! 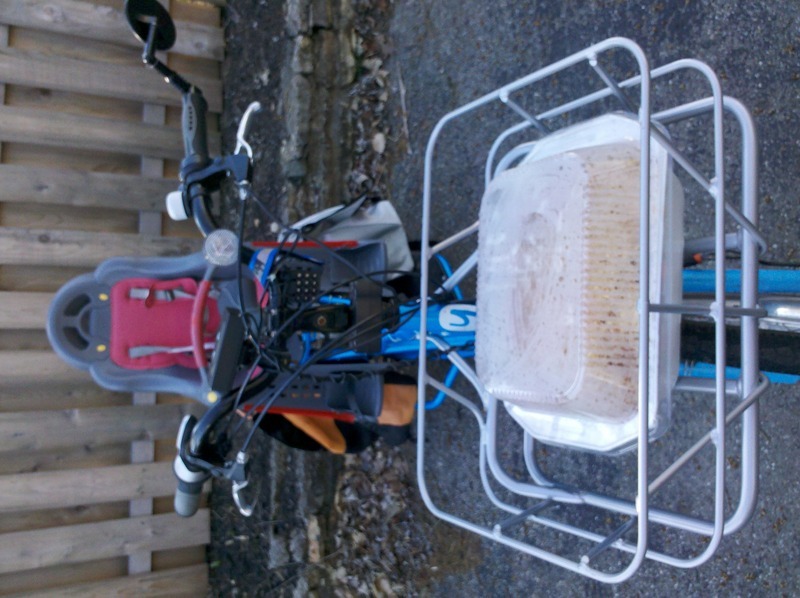 What’s your favorite way to carry large flat spill-prone food dishes on a bike?